The spice is powerful, but it's not a cure-all. Turmeric is a bright orange-yellow spice that’s a staple ingredient in Asian cooking. Now, you can find it as an ingredient in everything from teas and lattes to protein bars and supplements. Its popularity has to do with research showing turmeric has potential anti-inflammatory benefits. Anywhere from 500 to 2,000 mg of turmeric per day might be an effective dose, especially in extract form, Healthline reports. Experts note that the best, safest amount to take depends on a few factors. First, there are a few different ways to take turmeric. Common options include the root powder, a turmeric extract, or a curcumin supplement. Curcumin—the main active component which gives turmeric it’s anti-inflammatory and antioxidant properties—only makes up 3 percent of dry turmeric, according to Ali Webster PhD, RD, Associate Director of Nutrition Communications, International Food Information Council Foundation. 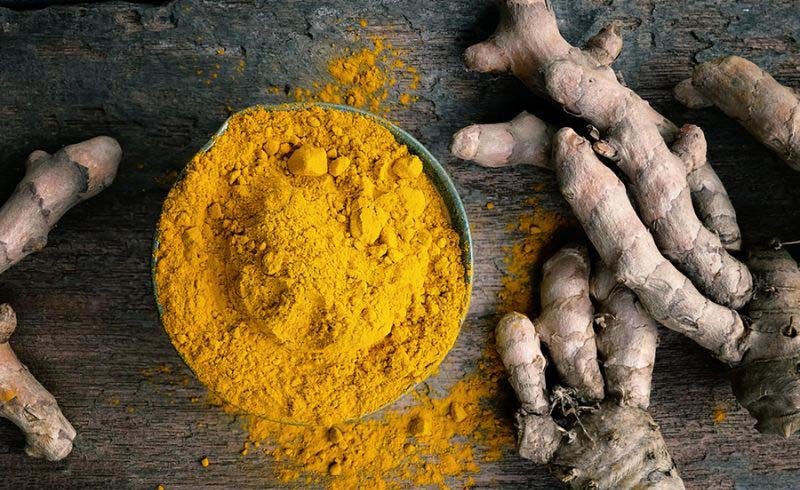 “Turmeric extracts or isolated curcumin found in dietary supplements are much higher in curcumin, so they’re more likely to have an impact on inflammation than the dried spice,” she says. So a dash of turmeric in the occasional recipe may not have lasting anti-inflammatory effects—unless a person consumes turmeric or curcumin supplements on a regular basis, too. Most research says that taking in at least one gram of curcumin per day is necessary for measurable anti-inflammatory effects, Webster says. The Arthritis Foundation recommends 400 to 600 milligrams (mg) of turmeric capsules, three times per day, or half to three grams of the root powder per day for inflammation relief. Other studies on arthritis patients show benefit from one gram of curcumin per day. It’s also important to note that the body doesn’t absorb the spice well by itself, according to Malina Linkas Malkani, MS, RDN, CDN, media spokesperson for the Academy of Nutrition and Dietetics. Malkani recommends combining turmeric with black pepper and a source of fat like olive oil or avocado for maximum absorption. Although the amount normally used for cooking is safe for humans and likely won’t cause side effects, consuming extremely high amounts could cause gastrointestinal issues like an upset stomach, nausea, diarrhea, as well as dizziness, according to Malkani and Webster. The main takeaway is that if you are considering taking turmeric, or any other supplementation for inflammation, you really need to let your doctor know—especially if you take other medications. All of them must be reviewed to determine if any potential drug interactions exist that would pose a health risk, says Nesochi Okeke-Igbokwe, MD, a physician and health expert. For instance, if one were taking certain blood thinner medications, taking turmeric as well may heighten the risk of bleeding. 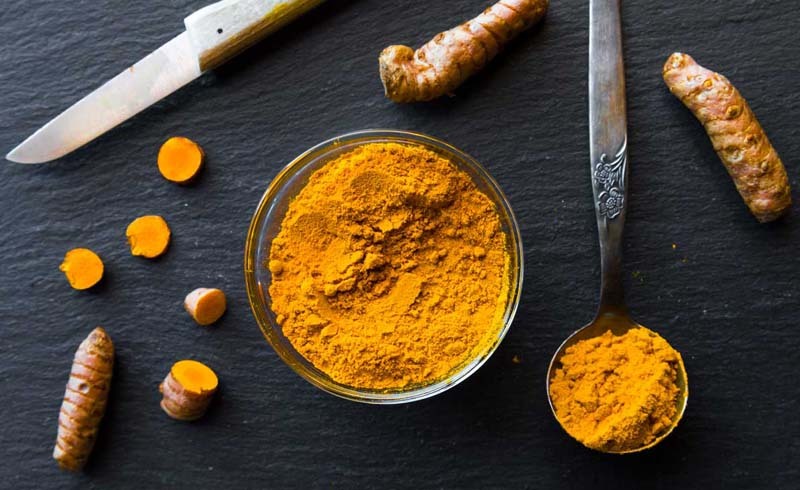 More research is necessary to determine a specific dose of turmeric or curcumin guaranteeing health benefits, but it won’t hurt to add some of the ground spice to your recipes or to speak with your doctor about possible supplementation and proper dosage.